It all started in my Campus Leadership class when our professor assigned the week’s reflection topic. We were to sign up for the Leadership and Influence Summit, an online event targeted at business professionals, and write about some of the videos we watched. While I found everything I viewed interesting and helpful, I was most impressed with Relationship Success by Keith Ferrazzi, where the above quote really spoke to me. For the past few weeks, I’ve been questioning my own ideas about what it means to be brave. 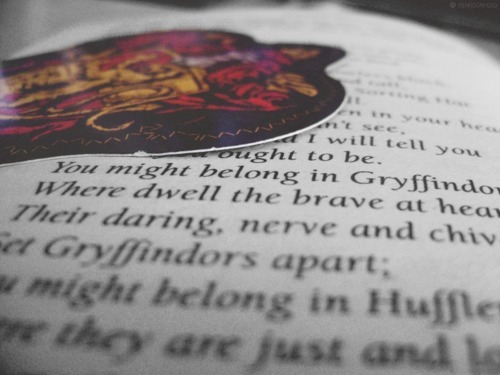 When I think of bravery, the first image that pops into my head is a lion, followed closely by the crest of Gryffindor. I think of people jumping out of airplanes, Spiderman fending off some horrible mutant villain, handsome princes slaying dragons — and yet, when I consider my personal fears and the people who have overcome those, I realize that bravery doesn’t always fit into those archetypes. As I observe myself in various situations, I notice how crippling our fears can be — especially those pertaining to other people. We worry that our thoughts, decisions, opinions and actions will be judged by others, and sometimes we let that keep us from growing. We worry about disappointment and disapproval and rejection, even though most of the time, no one is really judging us as hard as we believe. Often, our protective tendencies against our vulnerabilities are actually hurting us. 90 percent of the world is waiting for you, so why worry about the remaining 10? — Tweet this! Stand up for what you believe in. Do something completely out of the ordinary. Tell the love of your life how you really feel. My task? To speak up for myself even when it can be intimidating. Try to get out of your comfort zone, and maybe you’ll learn something new about yourself. I think some people believe that the brave, don’t feel fear. Of course they do. The difference is that they are willing to do the right thing regardless of fear. Fear does not control their actions. Do you want to know what happens when we let fear control our actions? We re-elect people like George W. Bush! I can’t agree with you more! In my PR classes we are constantly talking about fear in that context, and how the media uses it to gain circulation as well. Fear can definitely be taken advantage of. My next post scheduled for 15 December 2012 is based on my gratitude to people who helped with my blog. 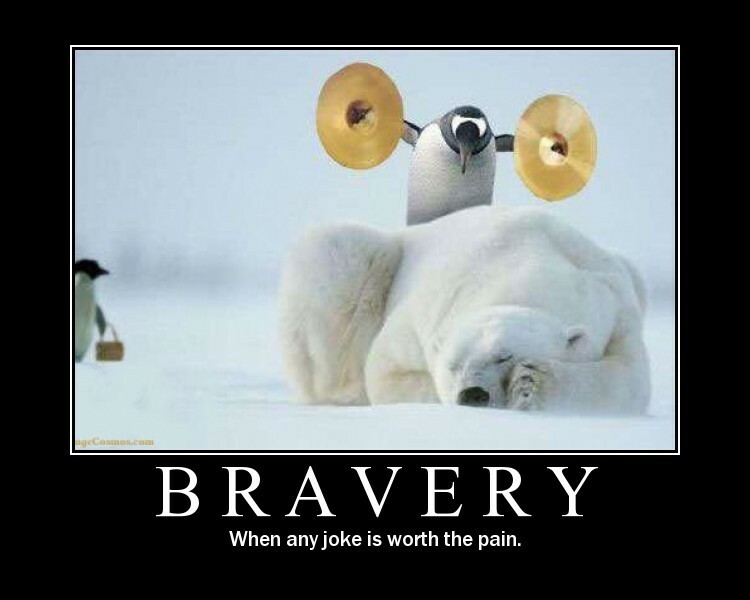 Looking through Google Images for a picture that depicted bravery (for one section of my post), I came across the second image in this post of yours. It’s darned cute and funny, AND it fits in with the theme of my next post. I am writing this seeking your permission to use your image in my blog post. My site is not a commercial one. If you grant me the use of the image, I will gladly mention your site in my post and link the image to your page.